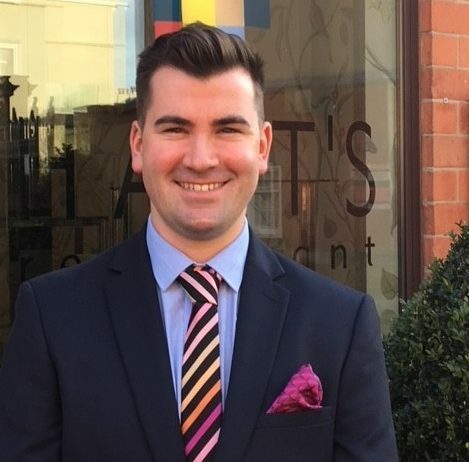 James Helm became restaurant manager of Hart’s in 2017, so we asked him what he likes most about working at Hart’s Nottingham. What do you like about working at Hart’s? I feel very proud to be part of a team who strive to be the best that Nottingham has to offer. As a fine dining restaurant which holds two AA rosettes, it is imperative that we continue to deliver the high standards and the quality we have been renowned for, for over 20 years. It can be challenging at times but extremely rewarding. 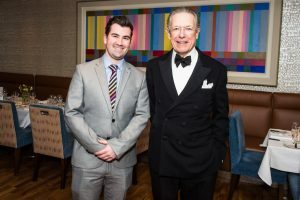 What does it take to make a good Restaurant Manager in a fine dining restaurant? From time management to employee care and customer service, a good restaurant manager must have special skills to do their job well. Most importantly, you need to have a passion for serving quality food and wine. We strive to cater for most people’s dietary requirements. Our menu is very flexible, and we can usually make our menu’s bespoke for all with a bit of notice. If you are ever concerned, I recommend calling ahead to speak to a manager who can put your mind at ease. Is there a favourite table in the restaurant? We have a number of favourite tables that our regulars request. The window tables are particularly popular, and the comfy booths which seat four and the corner tables are also a big hit! Do Hart’s have a popular dish on the menu? Hart’s Salad has to be the most popular! A favourite of owner Tim Hart, this salad always uses the freshest seasonal ingredients to deliver maximum flavour, whatever the time of year. Tim is a firm believer that good food should be kept simple and the seasonal salad demonstrates this perfectly. What is your favourite summer dish on the menu and why? Steak tagliata because everything on the dish is in season and it’s served with the tastiest San Marzano tomatoes. San Marzanos are famous for their sweetness and their tomato-ey intensity, plus a delicate acidity that can balance out the richness of the steak. It’s a really light and fresh dish, perfect for this hot weather. What wine would you pair with this dish and why? 2014 Puligny-Montrachet ”LES AUBUES” J.C Bachelet. This is a wonderfully rounded wine, which is beautifully mouth-filling but not too overpowering to take over the meal.